Driven by K. Bromberg: I THINK I caught on to what happened to Colton when he was younger. But knowing me, I’m probably wrong. I really liked this story, but I felt a little was missing. I didn’t feel as connected with the characters and I love that I have the e-book boxset which has Raced, the novella for Colton’s POV throughout the trilogy so it’s woven into the 3 books, so it’s nice having his perspective instead of waiting until the series is completely over. I felt we didn’t see much of any of his racing career, just him in the spotlight. Hopefully we see more in the sequel. I really like both characters and I’m curious to see how they develop and get past what has happened to both. Forgiving Lies by Molly McAdams: Okay, first off. Molly McAdams…. We start to get a happy epilogue then THAT gets thrown. Why. Just. Why?! But loved this book despite that cliffhanger ending. I’m very happy I have the sequel on my shelf and will definitely be starting that very soon. I now understand the green Sour Patch Kids reference. :) Loved Kash, but then again, who wouldn’t love him?! I’m nervous yet excited to see what happens in the sequel. This book wasn’t at all what I expected it to be. I got teary eyed and almost lost it a couple times. Candice unfortunately even after being redeemed, I still don’t like her character. Regardless if Rachel forgave her, I don’t. Friends don’t act like Candice did and honestly I don’t think she will continue to redeem herself in the sequel. I will be beyond shocked if Molly is able to redeem her for me. Cherished by Kelly Elliott: Absolutely freaking loved this book. This whole series. Every character. Every. Freaking. Drama. Filled. Moment!!!! I still have a Forever Love to read, but it follows Gunner’s grandparents. I’m beyond excited to start the spin off series. I have become so attached to these characters and after the spin off series is finished, I really don’t know what I’m going to do! I tried to fight off my tears soo much while reading the epilogue. So bittersweet! I’m going to gush again- I. LOVED. THIS. BOOK. EVERY. DANG. MINUTE. WAS. BEAUTIFUL! I will be posting a full length review in the weeks that follow so be on the lookout for that! Loved this book. Got teary eyed quite a bit. I’m very excited to read her other books- I know some are tear jerkers and not like this book at all. I love Joe’s character despite how TWISTED and psychotic he is. It is scary to think that people like Joe are out there… Great sequel, overall enjoyed, but I think my expectations were just too high for the most part. I would definitely still recommend this book- especially in audio! Seriously, Santino does a FANTASTIC job at portraying Joe’s character!!!! Wish I would have done You in audio as well! Fueled by K. Bromberg: Why. Why. Why that ending?! Why a HUGE cliffhanger?! I’m so beyond glad I have the boxset and can start the 3rd book. I can probably bet I will start it tomorrow. I’m literally fighting off sleep at the moment- have been for over an hour trying to finish this book. I definitely loved this more than the sequel and I have fallen for Colton. There’s still more I’m curious to know about his character and hoping we get to see it all come together in the 3rd. I’m dying to know what happened even though I obviously know what happened but it can go many ways with that cliffhanger. This book was just frustrating I guess is the best way. Rylee and Colton clearly both have alot of baggage they carry and neither have really come to terms with what has happened to them in the past causing their relationship to strain because of it. I hope Colton comes to his senses and we finally learn what happened even though I have a pretty good idea of what happened to him growing up. I can’t wait to start the 3rd, pretty sure I’ll be starting it tomorrow because that ending is killing me but I can’t fight off sleep anymore or I would be starting the 3rd right now! I attended Austin Book Fest earlier this month and WOW! I had such a blast! I know I’m incredibly late getting this post up and I apologize. This semester of classes is kicking my rear. But let’s get started! I got a “candid” picture taken before the event and it’s crazy! I seriously had the best time at the event. You can see my cart behind me. Yes, my arms hurt soooo bad from pushing it, but it was PERFECT for carrying 70+ books around for 4+ hours! If your curious where I got it, go here. I learned some new tips for future signings. I met so many awesome book friends in person. Got to meet so many awesome authors (of course!) I wish I could rewind back and redo the event again! I got a total of 61 books (60 books in the picture) signed at the event and I call that a huge success. Unfortunately I didn’t get to meet all the authors in the picture- I actually had to have some friends sign them for me. I think the one thing I took away from this was to bring more books for authors I’ve read. I brought like 2 books for almost every author even if I haven’t read them yet. Like I said, I had an absolute BLAST at ABF! I hope Vilma decides to host again next year because I plan to go next year! 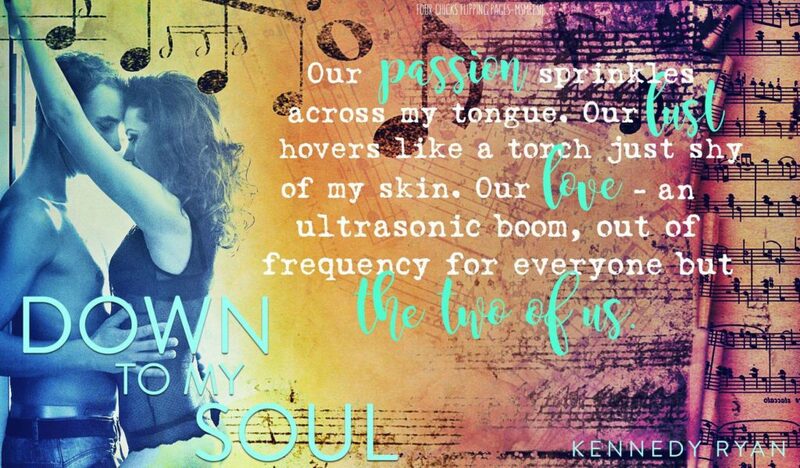 Today we have a sneak peek of Down to My Soul, Book 2 of Kennedy Ryan’s Soul Series! If you haven’t read Book 1, My Soul to Keep, make sure you catch up before the March 31 release! And don’t miss the giveaway accompanying the excerpt!